Some folks just hate to take their hands off their keyboard! It’s true! They just do not like moving over to grab their mouse to make something happen on their screen. They find it a waste of time. If you are one of those folks, this tip is for you! 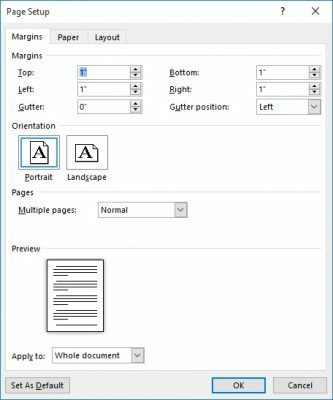 A lot of the dialog boxes in Word utilize the Tab system. Depending on what dialog box you are using, they can look different. The standard method is tabs along the top of the box. There are also some that use side tabs. If you would like examples to see what I am talking about, take a look at the Page Setup Dialog box. There you will see tabs across the top. Now, take a gander at the Word Options dialog box. There you will see the tabs along the left-hand side of the dialog box. It really does not matter at all where the tabs are located, because they are basically navigated in the same manner. To move forward through the available tabs, simply press Ctrl+Tab. To move backwards, use Shift+Ctrl+Tab. Huh? What version of Word are you talking about, Word 2025? I’m using Word 2010 (version 14.0.7188.5002, 32-bit) and Ctrl+Tab doesn’t work at all like described above to select tabs. However, I can use the arrow keys to select different tabs. Please clarify your article a bit regarding this behavior in the very popular Word 2010. If you look at the page where the article is posted it clearly states that the article is about Word 2016. 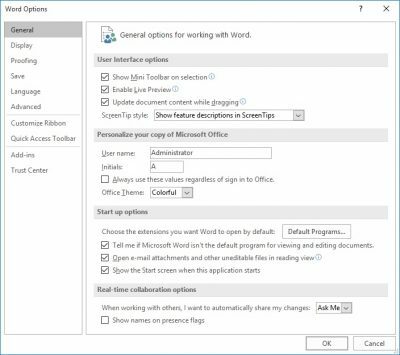 But because you say it does not work for you, I opened up Word 2010 and followed the steps in my article and it does indeed work in Word 2010, 2013 and 2016. Click on Page Layout and then click the arrow in the lower left of Page Setup to open the dialog box. Once the dialog box is open if you click on CTRL + Tab and look at the dialog box you will see that it cycles through the tabs. Please follow the steps above and let me know if you are successful.